I've written a lot about Wedding Dress in my blog before, but this time let's talk about what kind of wedding dress that might be trend in 2016. After gathering some information from many articles, and referring to the article of Harper's Bazaar, Layer of Lace still make it in on the list! 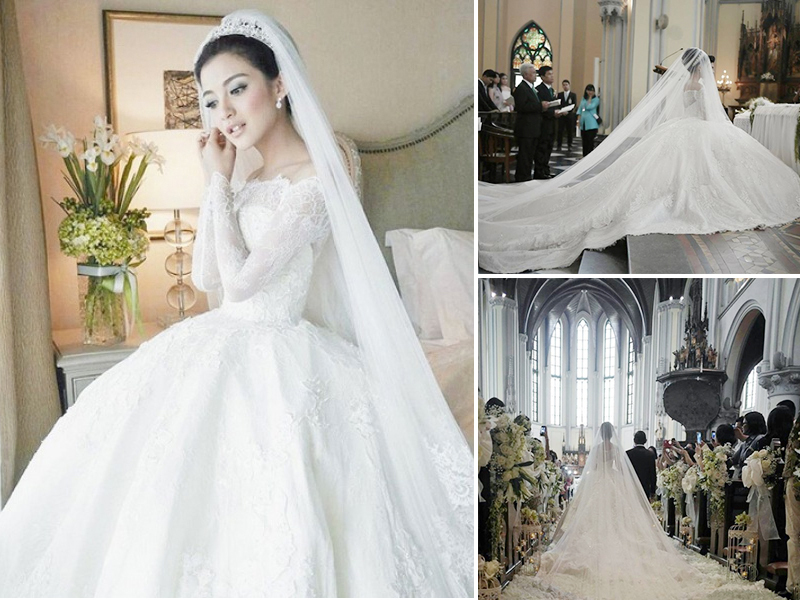 Many designers put Chantilly lace on top of embroidered tulle and Swiss dot lace for mind blowing texture and detail. I've seen this before in Chelsea Olivia's wedding dress a few weeks ago, her dress was created by the magical hand of Hian Tjen. Ah! Talk about Chelsea's dress, I'm sure it was not just me who wants to wear that dress in our wedding ceremony, right? Don't worry, If you are going to get married next year, her dress was forecast to be trend in 2016. It does look a like, right?